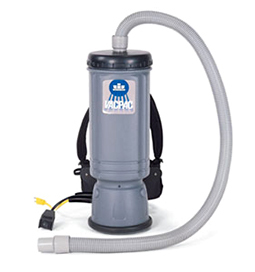 You can breath easier with the hospital-grade HEPA filtration system that comes standard on the Vac Pac backpack vacuum. This vacuum allows for flexability and mobility, which means maximum productivity. To capitalize on this feature, we have fitted the Vac Pac backpack with a lightweight, well-balanced harness for hours of comfortable use. The HEPA filter ensures that this vac is leaving the air in your facility clean and 99% germ-free. 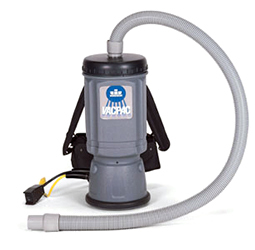 The Vac Pac opperates at a mere 67 dBA, making this powerful vacuum a perfect choice for daytime cleaning.